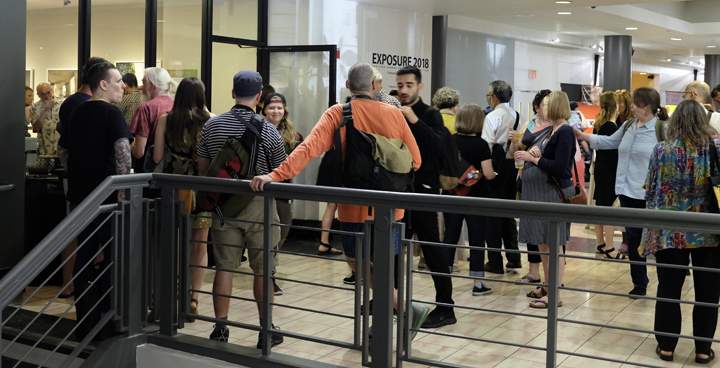 EXPOSURE 2018 Opens With a Bang! 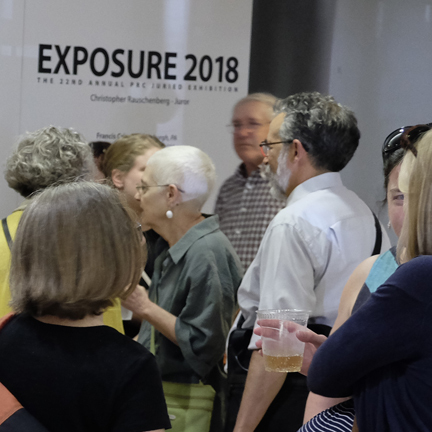 Nearly two hundred people joined us at the Opening Reception for EXPOSURE 2018 on July 12 to kick off an extraordinary exhibition of over 40 images by 11 photographers. 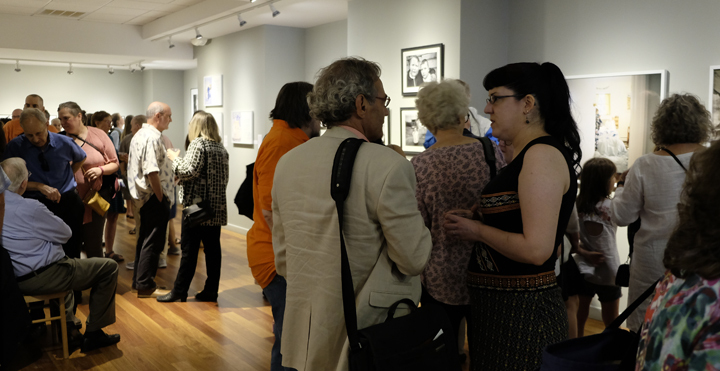 Juried by Christopher Rauschenberg, a nationally respected force in the photographic arts, the images sparked many conversations as well as being a delightful and thought-provoking backdrop for socializing among the attendees and the artists. 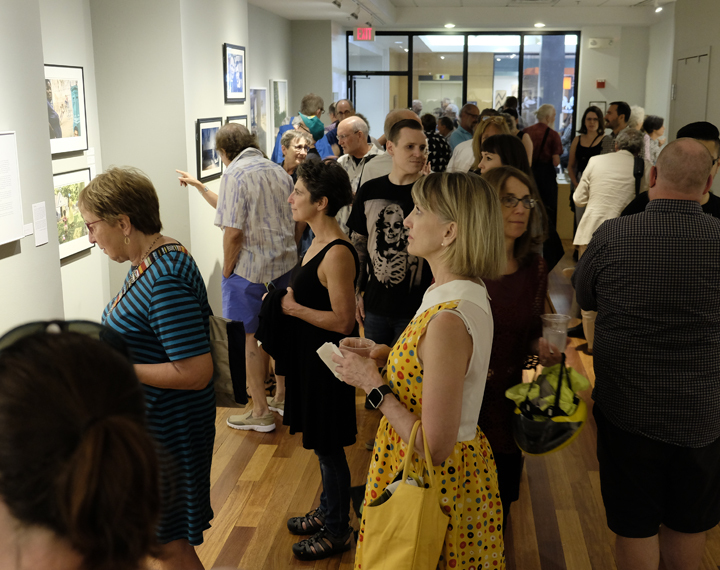 PRC Director Bruce Myren offered special thanks to Lesley University for making their gallery space available to us, and to Vinnie Marasa for his assistance in hanging the show. The exhibition runs until August 18 at Lesley University’s VanDernoot Gallery, University Hall, 1815 Mass Ave, Porter Square, Cambridge. Hours are Wednesdays, Fridays and Saturdays, noon – 6 p.m.; and Thursdays, noon – 8 p.m.